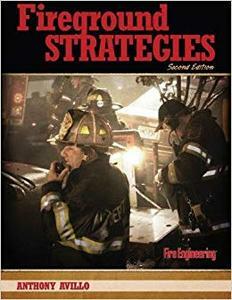 Fireground Strategies, 2nd Edition, covers fireground organization and operational safety as well as building construction and choosing a strategic mode of operation from the point of view of those in command of both the fireground and individual companies. In addition, specific occupancy types are explored in regard to command and firefighting concerns as well as life safety concerns. Used in conjunction with the Scenarios Workbook, Fireground Strategies, 2nd Edition provides a comprehensive guide to organizing the fireground and maintaining control.